World Travel Awards (WTA) has arrived in Ras Al Khaimah, United Arab Emirates (UAE), ahead of the Middle East Gala Ceremony 2018. The glittering event will take place at the Waldorf Astoria Ras Al Khaimah on Thursday, April 19th. Hundreds of industry leaders from across the region are expected to attend the Gala Ceremony, which takes place alongside the Arabian Hotel Investment Conference 2018, being hosted simultaneously in the northern most emirate. The red-carpet ceremony heralds the opening leg of the World Travel Awards Grand Tour 2018 – a search for the finest travel and tourism organisations in the world. The Grand Tour 2018 also marks World Travel Awards’ own 25th anniversary of honouring excellence in the international hospitality industry. As it celebrates its silver jubilee, it will be World Travel Awards’ first visit to Ras Al Khaimah. The burgeoning tourism hotspot boasts an enviable climate, traditional culture, sandy beaches and a wealth of activities, including the world’s longest zipline, Jebel Jais Flight, on the UAE’s highest mountain. He added: “WTA has maintained its position as the industry leader for the past 25 years, consistently proving its value as the global benchmark for excellence in the travel, tourism and hospitality business. Haitham Mattar, Chief Executive, Ras Al Khaimah Tourism Development Authority (RAKTDA), said: “It is a great honour to welcome the prestigious World Travel Awards gala dinner for the first time to Ras Al Khaimah, an event that brings together travel industry leaders worldwide. 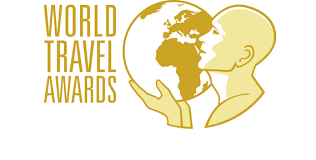 The World Travel Awards Middle East Gala Ceremony 2018 will take place alongside the Arabian Hotel Investment Conference (AHIC) which runs from April 17th-19th.